Can I Compost Hair? | Can I Compost This? Hair, whether from a human or a pet, can be composted. If you’ve got a lot to get rid of, stir clippings into the compost heap to avoid clumping or them sitting in a heavy layer, as that could reduce air flow in the heap. Longer stray hair caught on brushes/combs can also composted – though birds may claim them for nest making before they have a chance to decompose. Do NOT compost synthetic hair extensions or though – that won’t break down and will leave your compost heap “decorated” with long strands instead. 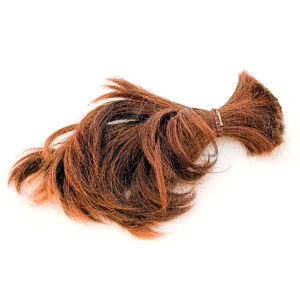 Wigs shouldn’t be composted either – even if they’re made with real hair, they’re likely to use synthetic materials and glue in the foundation layer. Also see: Recycle This for other for leftover hair. Thanks for confirming my assumption that hair could be composted!